Hurricanes are intense low pressure areas that form over warm ocean waters in the summer and early fall. Their source of energy is water vapor which is evaporated from the ocean surface. Usually, the heat released in this way in tropical thunderstorms is carried away by wind shear, which blows the top off the thunderstorms. But when there is little wind shear, this heat can build up, causing low pressure to form. The low pressure causes wind to begin to spiral inward toward the center of the low. These winds help to evaporate even more water vapor from the ocean, spiraling inward toward the center, feeding more showers and thunderstorms, and warming the upper atmosphere still more. The showers and thunderstorms where all of this energy is released are usually organized into bands (sometimes called "rainbands" or "feeder bands"), as well as into an "eyewall" encircling the center of the storm. The eyewall is where the strongest winds occur, which encircle the warmest air, in the eye of the hurricane. This warmth in the eye is produced by sinking air, which sinks in response to rising air in the thunderstorms. The winds diminish rapidly moving from the eyewall to the inside of the relatively cloud-free eye, where calm winds can exist. Hurricane intensity is based upon the highest sustained (1 minute average) wind speed the hurricane is producing. The "Saffir-Simpson" scale rates hurricane strength in this way from Category 1 to Category 5. These categories were chosen based upon the amount of damage that each category can produce. In low-lying areas, much of the damage from hurricanes can be from the "storm surge", in which water being blown onshore by the high winds rises rapidly. The storm surge can destroy the lower floors of some buildings, or even destroy the foundations of residences causing the homes to wash away. The storm surge can also trap residents from evacuating along low-lying escape routes. Hurricanes almost always travel poleward at the end of their life cycle, helping to transport excess heat out of the tropics toward higher latitudes. Sometimes the hurricane will merge with an extratropical (non-tropical) storm system, which can cause temporary intensification of the storm, as was the case with Hurricane Sandy which hit New England in late October, 2012. Hurricanes gradually die as they move over cooler waters, which do not have the heat energy necessary to evaporate sufficent water vapor into the atmosphere to fuel the hurricane. 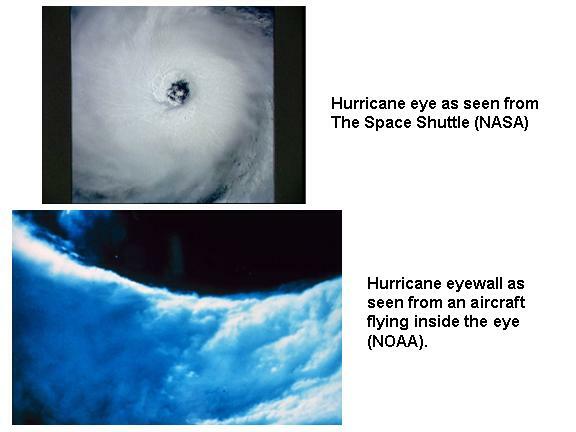 If the hurricane crosses over to land, the heat source is removed entirely. 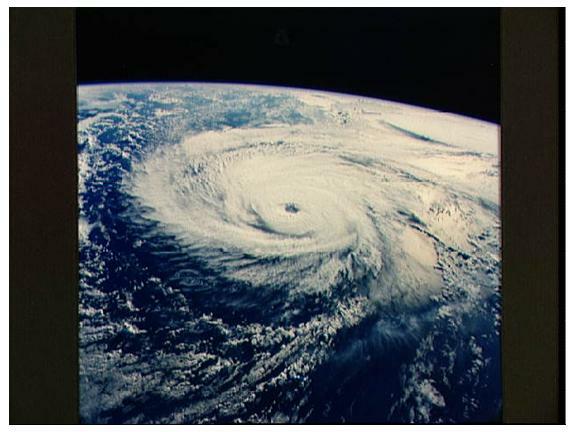 With the removal of the energy source, and the greater surface friction of the land's terrain and vegetation, the hurricane's winds rapidly decrease.